IAN REGULARLY TAKES a medicine to relieve symptoms of depression. The drug, called venlafaxine, was first sold by Wyeth, now Pfizer, in 1993. However, pharmaceutical companies only own the patent to a medicine for a certain time. Its patent ran out in 2008, and generic versions of the medicine have been on the market for some time now. By their definition, generics are supposed to be drive the prices of medicines down, but Ian has noticed an often sharp price disparity between the cost of his medication across different pharmacies in Dublin. So, why would be the price on the same medicine differ depending on which pharmacy you visit? TheJournal.ie takes a look. Usually, a pharmaceutical company owns the patent on a medicine for around 20 years. After the patent runs out, the chemical formulation must be disclosed so it allows other companies to come in and make their own versions of the exact same medicine, which is called a generic. As we’ve seen from recent debates around drugs such as Orkambi and Respreeza, it means that companies can set their own prices for the drug as long as the patent lasts. This often leads to conflict with governments, who aim to negotiate with these companies in order to reach an arrangement on a price for the drug. When it comes towards the end of the patent, pharmaceutical companies often use various legal avenues to try to block other companies coming in and making the drug. However, once other companies begin to make generic versions of the same product it quickly leads to prices dropping sharply. Take paracetamol as an example. It’s been a generic for decades so dozens of companies make their own version of it. This means that you can go into a shop and purchase a box of 10 tablets for under €1. There is no difference in the active ingredients – the ingredients in a drug which give the desired effect – between one generic version of a drug made by one pharmaceutical company, and one made by another, except for the packaging used. Ian travels around regularly for work so, over the past 18 months, has got his monthly prescription at seven different pharmacies in Dublin. He got his first four prescriptions of venlafaxine in the same north Dublin inner city pharmacy. Each time it cost a total of €14.63, or 52c a pill. On the fifth occasion, he went to a different pharmacy – this time in the city centre – and was charged €15.43, or 55c a pill. On his next two prescriptions, purchased in two suburban pharmacies, he was charged 54c a pill and 60c a pill, respectively. Across different locations, he was consistently charged different prices. Just before Christmas, he was charged just 32c a pill, meaning a saving of €6.70 from the place he’d gone to originally. The prescription in this central Dublin shop worked out at just under €9. This month, however, he was charged 73c a pill for the exact same medicine, albeit with a different brand name. This worked out to €20.43 for the course of medication. “The pharmacist just said ‘oh that’s just the price’ when I queried it,” he said. “It made me go back and check my receipts from my previous prescriptions. I would never ask a price before handing in a prescription… I didn’t get any specialised service to go along with it or anything. Having the ability to compare prices would be nice though. Irish people are such an awkward people anyway that we’re not going to challenge it when it’s handed over. So, between the cheapest and most expensive pharmacy, Ian could save over €100 a year just by buying the same medicine in a different place. In a west Dublin suburb, meanwhile, one man in his 60s switched from one local pharmacy to a newly-opened one selling his high cholesterol medication rosuvastatin at a far cheaper rate. Stephen McMahon, from the Irish Patients’ Association, told TheJournal.ie that people wouldn’t usually think of shopping around when it comes to their prescriptions. “To be honest, I’m not surprised,” he said when the price disparity in Ian’s case was put to him. 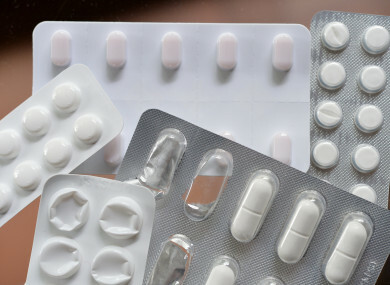 Under the government’s Drugs Payment Scheme, each individual or family is not required to pay more than €144 for prescribed medication each calendar month. In Ian and Tom’s case, their prescriptions do not exceed this threshold so they pay for the medicines themselves. David Beggs, owner of Pure Pharmacy – which operates seven outlets around the country – said that it’s possible to offer patented and off-patent medicines at a cheaper rate through intense negotiations with wholesalers. Beggs has been an advocate for lower-priced medication, and his pharmacy chain has developed a reputation for reasonable pricing. Last year, RTÉ’s Prime Time highlighted the pharmacy fees being charged in the State were often several times the cost price of the medicines. Professor Michael Barry, who heads the centre which decides what medicines get funded by the State, said: “We need to look at all aspects of pharmaceutical expenditure and pharmacy fees are no different, these figures are one of the drivers in recommending that we look at pharmacy fees. You may decide at the end of it all the fees we are paying are totally appropriate, however when you have such discrepancies where you have a drug price that is a fraction of what the HSE is paying then yes – it is legitimate to look at this. A spokesperson for the Irish Pharmacy Union told TheJournal.ie: “Prices vary from pharmacy to pharmacy, and patients will go to the pharmacy that best suits their needs, not alone in terms of price but also in terms of the nature and quality of the professional service that they receive. Pharmacies are private business and, as such, they must charge a price which is enough to cover all the costs of running the pharmacy, including the highest pharmacy registration fees in the western world. At the same time, they seek to provide the best value they can to their customers and patients. Email “'Oh, that's just the price': €11 difference in cost of same medication in two Dublin pharmacies”. Feedback on “'Oh, that's just the price': €11 difference in cost of same medication in two Dublin pharmacies”.